An older but a goodie!!! 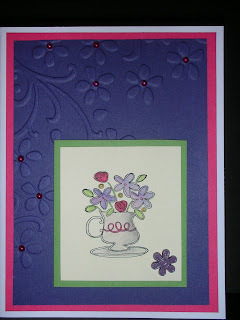 Fun & Fast Notes has been around for a long time and I had to dust mine off to make this card. I wanted to work with my watercoloring using the Aquapainter to see if I could get better at shading, etc. I think it turned out pretty well. 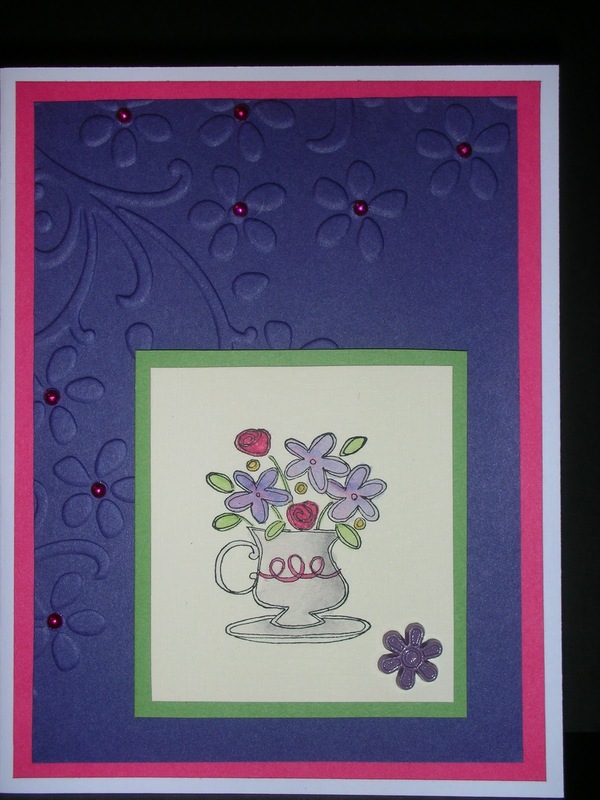 Do you like those pink centers on the embossed flowers? Are you wondering how I did that - just use permanent markers on the pearls!